About Us | Fox Oilfield Inc.
At Fox Oilfield we work with great people. Our purpose is to add value to the services our customers provide by delivering their products on Time, on Budget and with Open Transparent Billing. Every day we at Fox Oilfield strive to find efficiencies that we, as a company can pass on to you, our customer. We know that you take your job as seriously as we take ours. That is why at Fox Oilfield we consider ourselves to be an extension of the company we are working with. We do not rest until all parties are satisfied that we have completed a job safely, efficiently and to the highest standard. Fox Oilfield and our drivers take pride in the way our fleet looks when our trucks are driving down the road. Not only do the trucks look good but you can rest assured that our fleet of trucks are maintained to the highest standard and are always ready for the demanding needs of the industry. With GPS tracking in all of our trucks we are able to provide our customers with real time information on current location and approximate arrival time while at the same time showing our Customers that Fox is holding ourselves accountable and charging honest hours. Today, tomorrow, next week and next year. We are here to develop long term strategic relationships with people that like to work together in the good times and the bad. The strength of our company comes from the hard work and commitment of our employees. Large enough to handle any task thrown our way; yet small enough that we haven’t forgotten where we come from. Our customers find comfort in the fact that the owners operate the company and there is always a key decision maker around to ensure that each customer’s unique needs are met. Couple that with a group of experienced drivers that are passionate about the company they work for and you get a team that looks forward to the challenges each job brings with it. We work with customers to get the job done right. To be the most trusted name in the transportation industry while providing first in class service to our customers. To maximize customer satisfaction while cultivating a culture of self-discipline, accountability, and safety. 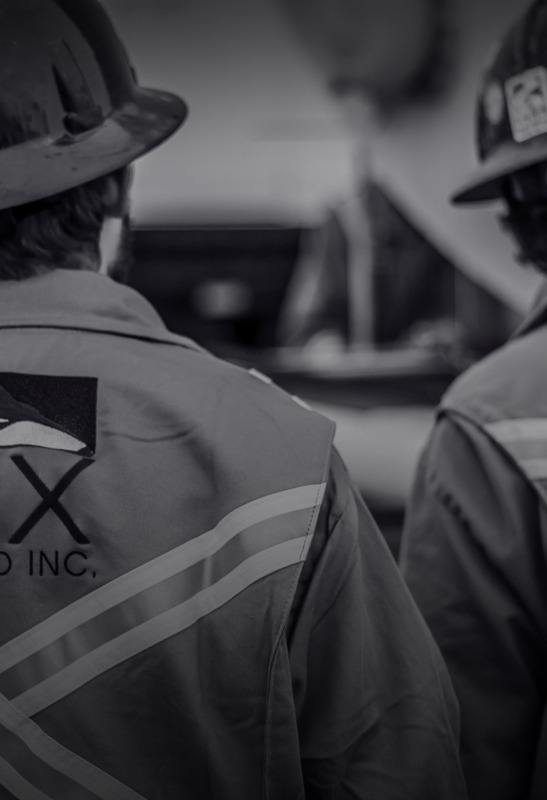 Our employees are the heart and soul of Fox Oilfield. Their daily interaction with key decision makers in the field directly affects our performance as a company and thus our ability to fulfill our vision. Instill a safe and healthy work environment with the basis that “safety is everyone’s responsibility." Accepting responsibility for one’s actions, decisions and mistakes. A commitment of accountability extends to customers, coworkers, company, friends and self. Providing our employees with the tools and training to safely, effectively and enjoyably do their jobs. We work hardest at the end of the day. We fulfil each and every task safely and to the highest standard. Become an employer of choice known for maintaining honest, sincere and professional relationships with our staff and our clients. Develop and maintain a current and dependable fleet. Invest in courses that give employees the tools to perform their jobs diligently, efficiently, safely and to the highest industry standard. Develop a system to reward maintenance and safety. 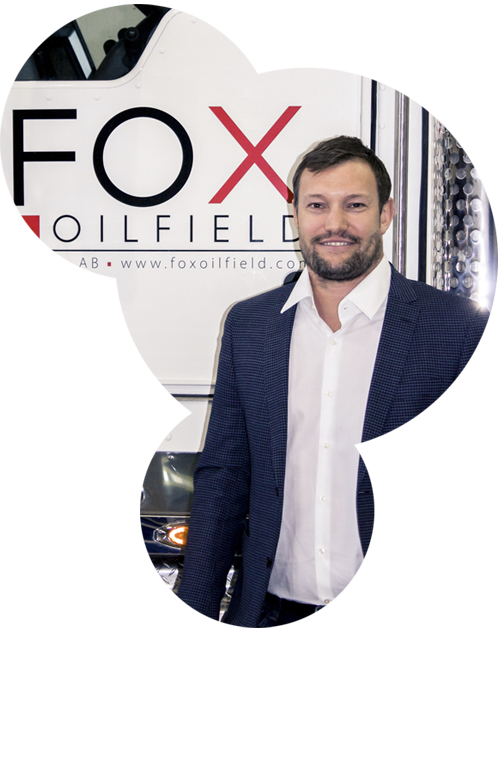 Chris Cassin is the President and a Director of Fox Oilfield. 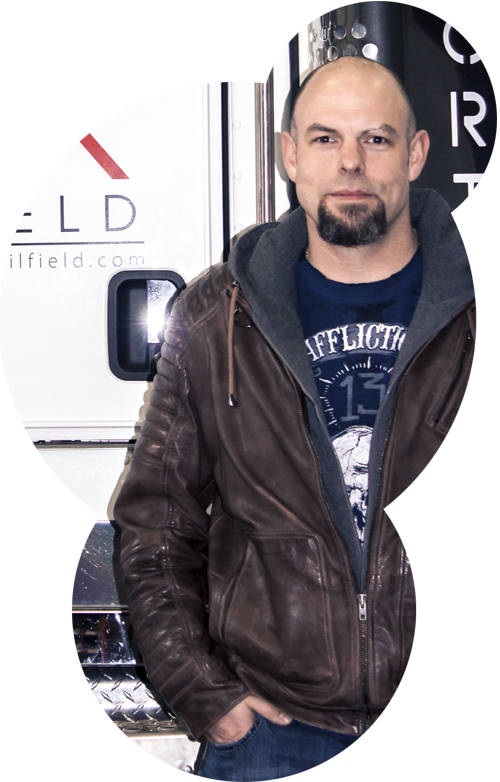 Chris, along with Stofer James, founded Fox Oilfield in 2013. Chris held various project management positions in the oil and gas industry before becoming an independent business man in 2011 and eventually starting Fox Oilfield. Born in Fort McMurray and a University of Alberta Alumnus he lives in the greater Edmonton area. Stofer James is the Vice President of Operations and a Director of Fox Oilfield. Born and raised in Armstrong British Columbia Stofer got his start in the transportation industry logging as an Owner Operator before moving to Alberta in 1999. With 15 years in the oil and gas industry Stofer has demonstrated his ability to manage numerous notable oilfield transportation companies throughout Alberta and Western Canada. As the VP of Operations, Stofer oversees our drivers, estimating, maintenance and fleet optimization. Rhonda Lyver is the Controller for Fox Oilfield. 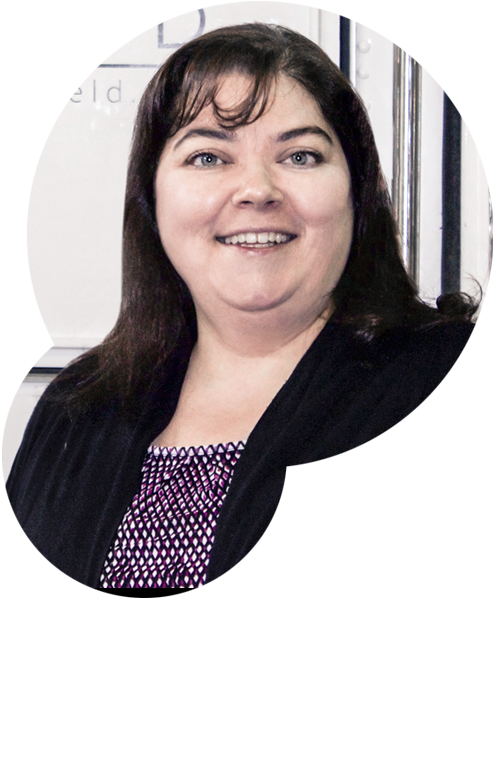 Originally from Newfoundland, Rhonda has been a Chartered Accountant for over 16 years and a controller for the past 10 years. Rhonda worked in public practice for ten years before finding her niche as a controller in the Oil and Gas industry. Rhonda brings with her a diverse background that falls in line with the future goals of Fox Oilfield. Her years of experience and industry knowledge make her an asset to the Fox Oilfield family. 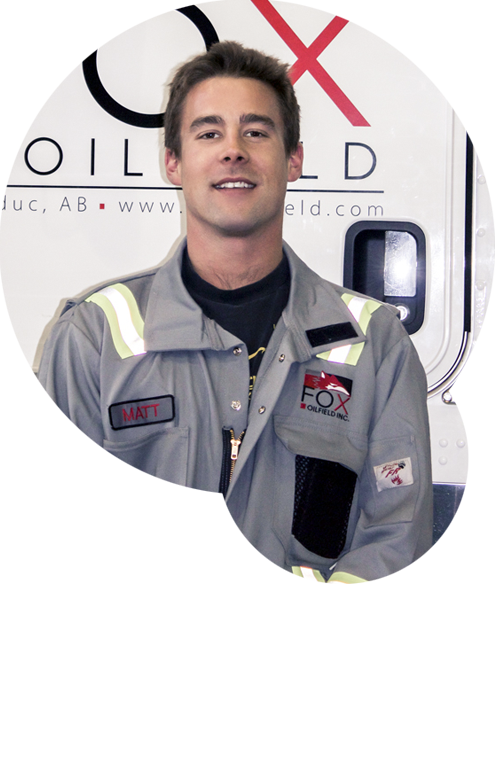 Matt Mackenzie is the Shop Foreman for Fox Oilfield. He found his passion working for a small oilfield company in Nisku where he began his apprenticeship. As he gained experience in the field and with heavy duty construction he began to build a reputation for himself as a high quality journeyman mechanic. During his career Matt has worked for many notable companies both in the oil and gas and construction industries. Born and raised in Leduc, Matt is an active member of the Kinsmen Club. 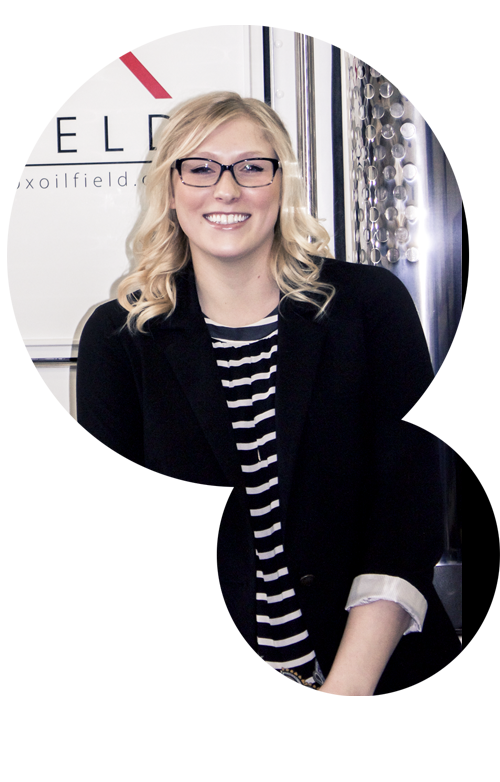 Kendra Weisner is the Executive Assistant for Fox Oilfield. Born and raised in Beaumont, Alberta, Kendra’s interest in business finance has led her to pursue a career path in accounting. She has since graduated from the Northern Alberta Institute of Technology with a diploma in accounting.